Northern Lights Cedar Tubs offer a variety of quality gas hot tub heating systems. With the recent reduction in Natural Gas prices these systems are great in areas of high electricity costs such as California. 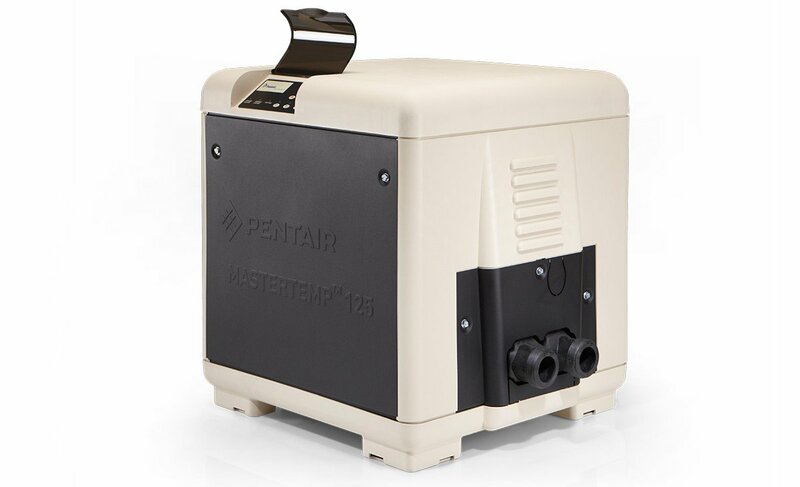 The standard gas heater is the Pentair MasterTemp 125,000 BTU/Hr Mini-Max electronic ignition heater. Gas heaters offer the quickest heat up times and are great for large volume hot tubs or for weekend homes and cottages. Gas heaters can be supplied with all our hot tubs, including our soaker tubs, our 4-8 jet standard tubs and our 16-20 jet high performance tubs. 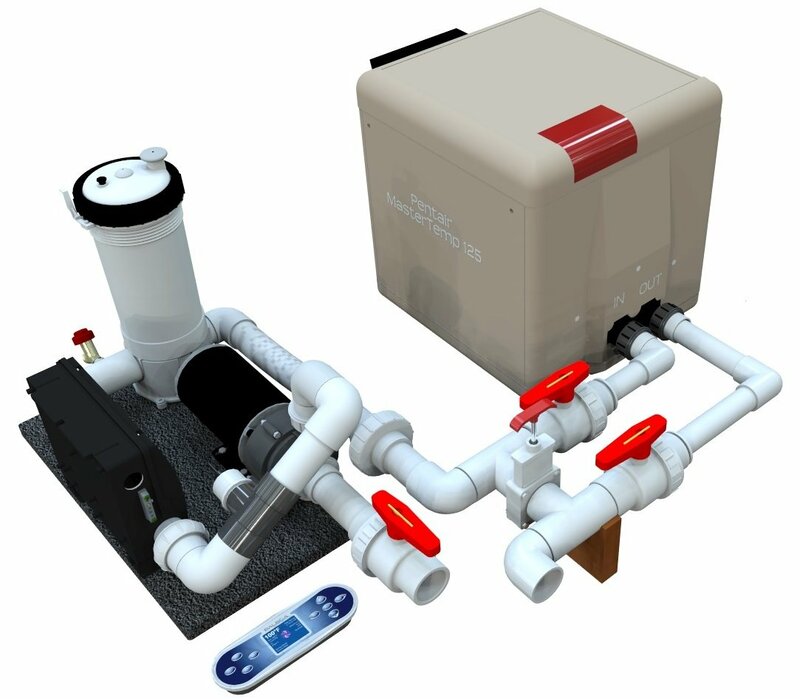 The controls vary from simple circulation pump configurations, to single 2-speed pump hybrid gas/electric systems, to high end multi-pump systems using a sophisticated spa pack. All our gas heating systems feature electronic ignition and use either LPG (propane gas) or Natural Gas (NG). All come standard for outdoor use. The Pentair MasterTemp needs no further adaptations to use indoor, or to use with horizontal side venting flue. Note that all gas heaters have some limit on cold weather operation. This is one reason we have the hybrid ga/electric systems available, allowing a switch to electric heat, should the temperatures get too cold for reliable gas heater operation. These gas hot tub heating systems can be used on any hot tub or spa spa including custom installations! Recommended for Cottage or Homes with limited power resources. Runs off 110 VAC. 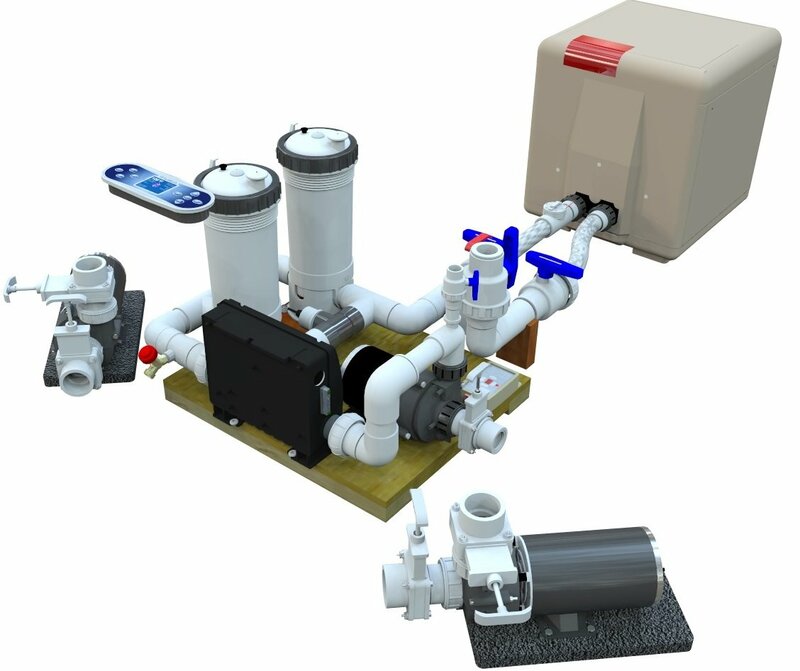 Circulation/Filtration System only with no jets. Recommended for Cottage or Homes with limited power resources. Runs off 120 Volt circuit. 2-speed Pump Provides both Circulation and 4 Jets funciton. Recommended for Residential Homes with adequate power resources. Runs off 230 volt 30 or 40A circuit. Electronic spa pack controlled. Use gas heat only, electric heat only or both simultaneously. 2-speed pump provides both circulation and 4-8 jets function. Recommended - This line is only offered in the large and extra-large tub sizes. 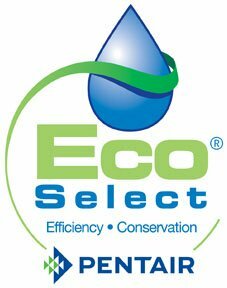 They deliver both energy savings & extensive hydro therapy massage with 12 - 24 jet options. Runs off 230 volts with 30-50A service. Fully Controlled by the advanced Balboa EL2000 Digital Spa Pack with 5.5 kW heater and with 8-button top side LCD control panel. Use gas heat only, electric heat only or both simultaneously. Full Hydro Therapy Massage! + Energy Efficient! The affordable Master Temp 125 heater gives you the energy savings and advanced operating features that were previously only available from much larger heaters. With its revolutionary premixed gas combustion technology, it offers 82% thermal efficiency—the highest of any heater in its category. The MasterTemp 125 heater delivers 82% thermal efficiency—the highest of any heater in its category. And, its revolutionary premixed gas combustion technology means ultra-fast heatup. The Masertemp 125 clear digital display with advanced features give you fast accurate readings and fingertip control of your hot tub and pool temperature.